The Joint Commission, LEAP and the California Perinatal Quality Care Collaborative. Please plan to arrive no later than 7:45 AM on day 1 to register and complete initial paper work. Please bring your professional license number for the CEU verification sign in sheet. Our hosting site will provide a light breakfast and snacks for both days. You will only have 45 minutes for lunch, so please plan to either pack a lunch or go to the cafeteria at the hosting site. There will not be time to go out to lunch. We will have a fun filled, full day! Please wear a short sleeve shirt (and bring a sweater or sweatshirt in case its cold) on day1 and a sleeveless shirt on day 2. We will be taking photos throughout the certification class, so please dress so you are comfortable with this! You do not need to bring a doll or any of the material from the On-Line Education. We will provide everything you need! We are SO excited to see you! The closest airport is Mineta San Jose International Airport (SJC) which is an approximately 15 minute drive to hosting location. Parking is available for free on site. *These prices are not group rates and are not guaranteed. What is Neonatal Touch & Massage Certification (NTMC)™? Neonates often experience an overbalance of medical and procedural touch in the NICU, and have a greater risk of developmental issues. This certification will re-set the scales to balance out this negative touch with intentional, positive, nurturing touch to optimize the long-term development of infants. 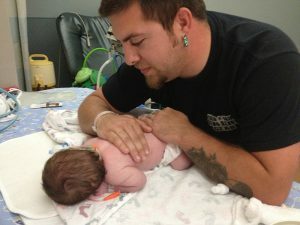 Families in the NICU ache to touch and hold their son or daughter. This certification will raise NICU caregiver’s awareness and skill to provide families with opportunities to parent their infant through touch and massage in the NICU and beyond. Neonatal healthcare providers are not always equipped with the knowledge, skill, and practice to implement touch and massage into their daily caregiving activities. This certification will provide the lessons and tools to do just that! How is this certification different from other Infant Massage Certifications? Medical status, brain maturation, developmental status, parent stress, no comparisons. 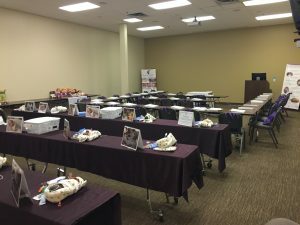 NTMC was designed exclusively by and for neonatal professionals with vastly different goals, approach, practice, and education that infant massage. What are the benefits of becoming certified in NTMC? What benefits does NTMC offer for babies and families? 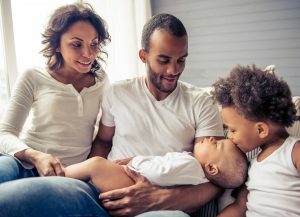 Families benefit when their baby’s NTMC professional teach them how to provide massage, skin-to-skin holding, swaddled bathing, and positive touch. Learning these caregiver activities improves the parent’s confidence and independence in parenting, improves infant-parent attachment, reduces parenting stress while improving the neurodevelopmental outcomes of the babies. Neonatal Touch & Massage Certification is open to neonatal registered nurses, occupational therapists, physical therapists and speech language pathologists with a minimum of 1000 hours experience in the Neonatal Intensive Care Unit or Special Care Nursery. The applicant must have a valid license and be in good standing with their licensing body. What credentials would I earn and how long will they last? Upon completion of Neonatal Touch & Massage Certification, nurses will obtain professional credentials of NTMNC® (Neonatal Touch & Massage Nurse Certified) and therapists will obtain professional credentials of NTMTC® (Neonatal Touch & Massage Therapist Certified). These professional credentials will last 2 years, and recertification is completed every 2 years online, for a nominal fee and with no travel required. Recertification is our commitment to you to keep you an expert in this specialized neonatal area. How do I become Neonatal Touch & Massage Certified? Complete and submit the application, including a copy of your current license, and the validation form verifying 1000 hours worked in the NICU or SCN. Once accepted, you will register and receive an NTMC login and instructions on how to proceed to Phase II. Complete all On-Line Educational webinars (at your convenience) provided by experts from the United States and Canada. Complete and pass (>80%) the short test after each webinar. 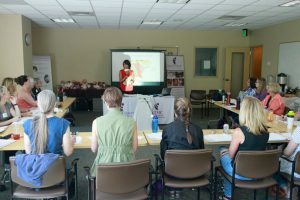 Attend one day (Nurses) or two days (Therapists) of Hands -On Training. Complete and pass (>80%) the final exam, which includes video analysis. What is the NTMC Hands-On Training Agenda? What is the fee for the NTMC? The NTMC fee is: $875 Therapists; $650 Nurses. A 10% discount is offered if 3 or more candidates from one hospital apply/register and attend Phase III together. Fee includes On-Line Education, Hands-On Training and course materials. Therapists must complete the Two Day Certification while Nurses must only complete the One Day Certification. Visa, MasterCard, and Discover Accepted. Make check payable to Creative Therapy Consultants. How can I host NTMC at my Facility? It’s simple! Creative Therapy Consultants does most of the work for you. You only need to have 6 staff from your facility attend (any combination of neonatal RNs, OTs, PTs, SLPs) and provide the room, data projector/screen, along with a light breakfast. We provide everything else, including marketing, binders with handouts, dolls for lab, instructors, brochures, contact hours, credentials, and certificates! Click HERE to learn more and download a document or simply send us an email to set up a time do discuss your options further! Recognize three benefits of massage identified in the research literature. Name three developmental care practice changes that you can implement based on the brain and sensory development, positioning, and protecting sleep. List two neonatal care practice changes you can make based on principles of infant-driven caregiving, going green, and supporting parents’ experience. Identify the role of the lymphatic and respiratory system for the neonate. Identify the neurobehavioral and neuromotor development of preterm and term infants. Demonstrate appropriate handling and caregiving activities to promote optimal neurobehavioral and neuromotor development of high-risk neonate. Explain how to promote infant-parent attachment and bonding, through the use of touch and massage. A complete NTMC Agenda can be found in the course brochures Here. Kara Ann has been a neonatal therapist for over 30 years in a large Level IIIB NICU where she serves as the developmental specialist and a occupational therapist. She is president of Creative Therapy Consultants, Founder of the (NTMC), and Co-Founder of Infant-Driven Feeding®. She holds several certifications including NTMTC, NDT, NIDCAP, and CNT. Kara Ann has received professional awards including the Ohio Occupational Therapy Pediatric Model Practice Award, the March of Dimes Healthcare Worker of the Year Award, the MVH Excellence in Service Award and the 2015 Inagural Pioneer in Neonatal Therapy Award from the National Association of Neonatal Therapists. Mary Coughlin, MS, NNP, RNC-E is the Founder and President of Caring Essentials Collaborative, LLC and a graduate of Northeastern University where she received her baccalaureate and master’s degrees in nursing. Ms. Coughlin has assumed roles as staff nurse, charge nurse and neonatal nurse practitioner culminating in her current position with Caring Essentials Collaborative. With a clinical background that spans over 30 years, Ms. Coughlin is the internationally recognized expert in the field of trauma-informed, age-appropriate care in the NICU. A leader in the field of neonatal nursing and international key-note speaker Ms. Coughlin is a published author of multiple publications including Clinical Practice Guidelines for Age-Appropriate Care of the Premature and Critically Ill Hospitalized Infant for the National Association for Neonatal Nursing (NANN), Transformative Nursing in the NICU: Trauma-Informed, Age-Appropriate Care and her latest book entitled: Trauma-informed Care in the NICU: Evidence-Based Practice Guidelines for Transdisciplinary Neonatal Clinicians. Ms. Coughlin lives in Boston Massachusetts with her husband Dan and their dog George. Aune is an experienced Occupational Therapist in a large NICU at McMaster Children’s Hospital in Hamilton, Ontario, Canada. She received her undergraduate Psychology Degree and Occupational Therapy Degree from McMaster University. She is chair of the Developmental Care Committee, and provides comprehensive education for Neonatal Units and clinicians across the Region on neuroprotective care, feeding and swallowing, and complex discharge planning. Aune is an internationally sought after speaker, educator, and consultant. She lectures in the McMaster University Masters OT program on developmentally supportive care and the role of occupational therapy with premature and high risk infants. She has published in the area of clinical and videofluoroscopic assessment of aspiration in high risk infants. Aune is passionate about neuroprotective care and the importance of education to empower families and caregivers, and optimize the long term outcomes for preterm and high risk infants. Aune was awarded the OT Practice Excellence Award for 2013. Dr. Elizabeth Jeanson currently serves as the Developmental Specialist in Neonatal Intensive Care at Sanford/USD Medical Center. Dr Jeanson was NIDCAP trained, Infant Behavioral Assessment and Neonatal Network Neurobehavioral Scale certified. She is also a certified infant massage instructor and a certified child passenger safety technician (car seat). Recently Dr Jeanson completed her Neonatal Touch and Massage Therapy certification. She is a certified neonatal therapist. In her current position Dr. Jeanson is responsible for direct and indirect implementation of developmental family centered care in a large level 3 neonatal intensive care unit. Dr. Jeanson has spoken regionally on topics including sensory development of preterm infants, positioning of infants in NICU, non-pharmacologic pain management for preterm infants, supporting the development of post term infants in the NICU, as well as team building and strategic planning for multidisciplinary teams. She published, One to One Bedside Nurse Education as a Means to Improve Positioning Consistency in 2013. Dr Jeanson’s passion is improving the outcomes of premature infants through cautious/thoughtful intervention, family support and staff education. Dr. Gail Poskey received her Bachelor of Science degree in Healthcare Administration in 1985, her Masters of OT in 1988 and her PhD in 2007. She is currently serving as an Assistant Professor for the School of Occupational Therapy at Texas Woman’s University in Dallas, TX. She has served the neonatal and pediatric population for over 20 years. Gail has been involved in multiple research projects and has numerous publications. She has also presented at the regional, national, and international level. Gail Poskey is an Assistant Professor at Texas Woman’s University, Dallas, Texas in the School of Occupational Therapy. She has over 20 years of clinical experience with extensive experience working in the NICU. She has presented at professional conferences at the local, state, national and international level and has multiple publications in the pediatric and neonatal arena. Virginia McGill or Ginny received her Doctorate in Physical Therapy from Creighton University in 2001. She then practiced in Phoenix, Arizona in home care for developmentally delayed children and adults before transitioning in to the inpatient setting at Phoenix Children’s Hospital. She began neonatal practice in 2003. Neonatal therapy has been her practice focus from since then and has continued in Anchorage, Alaska where she moved in 2008. Ginny is now the Neonatal Therapy Supervisor for The Children’s Hospital at Providence Alaska Medical Center. She has developed competencies for therapy practice and nursing education programs for developmental care quality improvement. She has participated in VON work and the development of practice for micro premie care and kangaroo care. She has a special interest in skin care and is part of the NICU wound care team after receiving certification in wound and lymphedema treatment. Ginny enjoys living in Alaska and all it has to offer with frequent time spent kayaking, hiking, camping and kiteboarding. Keira Sorrells is the mother of triplets born at 25 weeks, 5 days gestation. Ms. Sorrells spent nine and a half months in the NICU with her girls and experienced every parent’s greatest fear when one of her daughters died at 14 months old. In 2008, these traumas led Ms. Sorrells to launch the Zoe Rose Memorial Foundation, a non-profit that supports NICU families. She soon became aware that the voice of the NICU parent was underrepresented in Maternal and Infant Health community. In response, Ms. Sorrells helped launch and now serves as President of the Preemie Parent Alliance (PPA). PPA a network of over 30 NICU parent support organizations that is dedicated to representing the needs and best interests of NICU families in all facets of healthcare policy, care guidelines, advocacy, education, and family support. Ms. Sorrells strongly believes that no single organization or provider can serve all the needs of all NICU families, only through collaboration can the true voice of the NICU parent be represented appropriately. Faith has been a neonatal nurse since the early 1980’s. She has been active in promoting developmental care over the past 20 years. Her interest in developmental care stemmed from her own personal experience after she and her husband adopted two drug exposed infants 17 years ago. She was able to see the relationship between the responses of her fragile infants to positive developmental interventions. She has a passion to pass on her knowledge to nursing staff in the NICU as well as pediatric units and in outpatient settings. 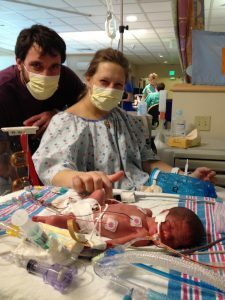 She has given presentations as a part of the small baby unit within the NICU at Greenville Health System and to pediatric nurses attending orientation to the hospital system. She was active in developing a NICU developmental interdisciplinary committee. In addition she promotes developmental care as an advisory board member of the March of Dimes NICU Family Support Committee; a member of a foster care family support group; as a foster parent, and special coordinator of pediatric abuse prevention within the Greenville Health System. Faith has a master’s in nursing administration from the University of Cincinnati. She enjoys doing research as well as reading research on all areas of developmental Care. She lives in Greenville, SC with her husband and 2 daughters..
Susan Strzyzewski has worked in the neonatal unit since the late 1970’s and has over 25 years of NICU follow up experience. She is a certified neonatal therapist and has advanced certification in feeding, eating and swallowing including vital stim, neurodevelopmental treatment and neonatal touch and massage certification. She also has extensive continuing education certifications in behavioral, neurological and developmental assessments with preterm and sick newborns. She worked with the American Occupational Therapy Association to help author the position paper and guidelines for OT in the NICU. Susan is a Touchpoints Community trainer and is experienced in the Neonatal Behavioral Assessment Scale, the Newborn Behavioral Observations System and was one of the first therapists introduced to the Assessment of Preterm Infant Behavior in the early eighties. She has given many regional, national and international presentations sharing experiences in England, Germany, the Netherlands, Poland, Canada and Mexico. She enjoys the privilege of working with her tiny NICU babies and their families each day. She is married with two grown children and various fur-babies..
Neonatal Nurse Practitioner and Clinical Nurse Specialist. In addition to her roles as a Neonatal Nurse Practitioner and Clinical Nurse Specialist, Kathi is also a businesswoman, owning her own education and consulting company, and during the last ten years has held a variety of roles for medical companies around the globe. But in 2008, her personal and professional passions took a new course. Kathi learned that chemicals found in products and equipment used in the NICU every day could be linked to serious short and long-term health concerns for babies and for staff. With a vision for a Green Centered NICU that would be safer for babies, for staff and even the environment beyond the NICU, Kathi created a new education program to inform, inspire and empower other healthcare professionals on how to create Green Centered NICUs. Kathi is a founding member of the Alliance of Nurses for Healthy Environments and Co-Chair of their practice work group. 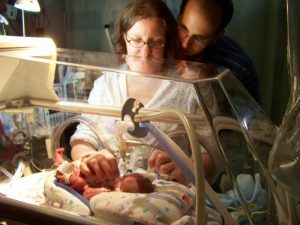 In April 2011, Kathi received the Breast Cancer Funds Andrea Martin Hero Award for her innovative work in Greening the NICU. Holly Schifsky is a 1997 graduate of the University of North Dakota Occupational Therapy program. She has focused her career on advancing clinical skills to provide evidence based interventions for neonates/infants/toddlers/young children with non-traumatic and traumatic injuries. She is a Certified Brain Injury Specialist, Certified Neonatal Therapist, Certified Neonatal Touch/Massage clinician and completed her infant/toddler NDT training which included a 6-month clinical mentorship. She has presented at a variety of regional and national conferences regarding clinical interventions for premature, medically complex infants, and pediatric trauma survivors. She has been a consultant in the NICU for the past 15 years and has dedicated the last 8 years to exclusive clinical work in the NICU and NICU follow-up clinic at the University of Minnesota Children’s Hospital. She provides assessments and interventions to advance developmental and feeding/swallowing skills for the patients in the 63-bed, Level IV NICU at the University of Minnesota. Ann is a licensed respiratory therapy practitioner and neonatal pediatric specialist who has cared for neonatal patients for over 30 years. She works in a 60 bed, single family room, level 3 NICU as an educator for NICU staff and also provides instruction to area respiratory therapists training in newborn stabilization. As adjunct faculty at a local community college, Ann developed and facilitates a short term certificate program focusing on respiratory care of the newborn. In her role as an infant monitoring specialist, Ann was a co-author for a white paper detailing the use of documented event monitoring for pre-discharge screening. Her committee work includes providing education for the small baby team initiative and she recently worked with Kara Ann Waitzman and other NICU Professionals to develop the best practice for skin-to-skin transfer of the intubated infant. Dr. Lisa Cleveland is a Board Certified Pediatric Nurse Practitioner and an International Board-Certified Lactation Consultant. Her career is centered on advocacy for underserved families. She has a clinical practice at a non-profit, alternative high school and daycare for more than 300 at-risk children. Further, her research is focused on mother-infant dyads affected by neonatal abstinence (withdrawal) syndrome (NAS). U.S. rates of NAS have increased fivefold since 2000. Dr. Cleveland is currently leading her interprofessional team in conducting research to determine the impact of kangaroo mother care (KMC), a method of skin-to-skin, mother-infant holding, on stress reactivity and attachment in these dyads. The findings of this research show that KMC can reduce the severity of NAS symptoms and foster a strong maternal-infant attachment. In addition, Dr. Cleveland is the Principal Investigator for a Patient Centered Outcomes Research Institute funded project to develop a Bexar County NAS Collaborative (BCNC). Bexar County, Texas, which includes the San Antonio area, has been disproportionately affected by NAS, accounting for one third of cases reported annually in the state. Therefore, the purpose of the BCNC, is to engage patient/family partners, community stakeholders, clinicians, and researchers in the identification of research priorities specific to NAS. Shannon received her Master of Science in Occupational Therapy degree from Washington University School of Medicine. She has been working in the NICU since she started her processional career and currently works in a large Level III NICU in Colorado Springs, CO. She also participates in the Infant Developmental Assessment Clinic in Colorado Springs. Shannon has presented many times on the local and national level both in live and pre-recorded formats. She is a clinical consultant and CE Administrator with Creative Therapy Consultants. Shannon has completed developmental assessments with a Nationwide National Institute of Health research study and she also volunteers with the Junior League of Colorado Springs. Erin has practiced as a pediatric and neonatal occupational therapist for 18 years. She received her Master of Science from University of Puget Sound and currently works at Swedish Medical Center in Seattle. She works in the Main Campus level 4 NICU as well as the off-site level 2 nurseries. She is a Certified Neonatal Therapist, and obtained certifications in lactation education, and Neonatal Touch & Massage. Erin has presented nationally and locally on developmental care and support for infants in the NICU. She also participates in the Vermont Oxford Network Quality Improvement initiatives focused on enhancing the care of micro-preemies. Erin also has experience in NICU follow-up for developmental and feeding support. Upon completion of Neonatal Touch & Massage Certification, nurses will obtain professional credentials of NTMNC (Neonatal Touch & Massage Nurse Certified) and therapists will obtain professional credentials of NTMTC® (Neonatal Touch & Massage Therapist Certified). * Partial credit for course will not be given. ** The assignment of AOTA CEUs does not imply endorsement of specific course content, products, or clinical procedures by AOTA or indicate AOTA approval of a certification or other professional recognition. A wealth of knowledge from the presenter Kara Ann. This course gave me a whole new view of NICU practices and helped me solidify current practices. I highly recommend this course. I always enjoy the webinars. This is a well done program and I always learn something new. Thank you again. NTMC is hands down the best continuing education course I’ve ever taken. Informative, practical, and immediately usable, it gives a practitioner the why and the how, both elements that are crucial for best practice and compassionate care. Take this course. Your future self with thank you! Love the course. I recommend any neonatal therapist should be certified NTMC. This was very useful info as a “new” NICU therapist. I look forward to using this info/techniques in practice. Thank You! Amazing knowledge in all areas. Thank You. Loved the info – lots of new info for me. Would have liked more time to retain/”get” last day’s worth of info. An excellent course!! Wish I could have every therapist, nurse, NNP, resident, respiratory therapist and neonatologist take this course. The updated massage films and the outstanding visual aids demonstrating trigger point releases were a great addition to our original training. The quality of these recordings provide the benefit of authentic demonstration. This certification course was amazing! I felt the labs were very good for practice. I also liked how there was opportunity during lunch to have conversations with therapists from other hospitals and talk about practices and improvements. Excellent content! Definitely will be using these techniques right away when I get back to the unit. Wish I could have had others from my unit experience this process. Wish it was 3 days. OUR MISSION: To improve the lives of babies and families through touch and massage. © 2019 Creative Therapy Consultants. All rights reserved.